He’s been in the hospital for eight days. I’m doing the best I can to be there for Josh in every way possible. I am still mourning the loss I feel knowing that he won’t be coming back to live at my house once he’s released. I am still in shock. Some days I don’t even know what I should be doing. Do I pretend that it doesn’t hurt me? It’s hard not to show my feelings. Sometimes when I visit, the tears just flow. Once or twice, Josh has said that it’s not my fault, but I am guessing he was just trying to stop me from crying in front of him. I really don’t want to break down like that. Josh needs me to be strong. I’m writing about letting go. I just don’t know any other way to process the unending sadness and pain I feel while watching my son going down this path. 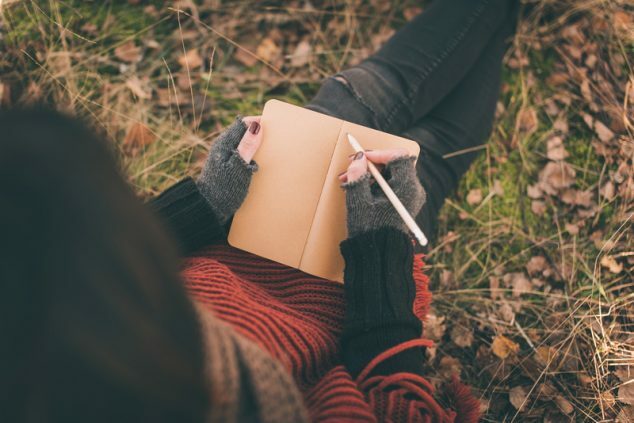 Perhaps by writing, I will somehow figure out who I am and what, if anything, I could have done to change this course. Maybe I can even figure out what I can do going forward to heal for myself and hopefully for Josh, too. Right now, I have no idea. I thought that I knew who I was. Just a month ago, I was all about the role of Mom. I took this role very seriously. I loved to cook every night – or at least most nights – for the family. I made it a priority to have meals together and I put love and care into everything I made. I enjoyed and prided myself on the family time. There was a real hope that this time together would build our relationships stronger. I had this fantasy of all of us sharing meals and thoughts about our day. Willingly spending some quality time together. Some meals were like this, but many more were not. Often, mealtimes were uncomfortably quiet, tense, and not much fun. It caused so much anxiety for all of us, and I often wondered if it was worth my efforts to try to bring the family together like this. Even so, I really loved doing it and held out hope that one day it would start to look like the family mealtime I had long been envisioning. I am absolutely crushed that Josh has chosen to leave. I already miss our time together before school. On many mornings, he and I watched the news before the school bus arrived, his head in my lap, me not even wanting to breathe for fear that the magical moments would pass too quickly and be gone forever. Thinking about this makes me miss my children when they were little; I remember how I held my breath so often in those sweet moments, wanting nothing more than for the time to last forever. One of my favorite things was reading to them before bed, telling them stories that may or may not have been on the pages of the book we were reading. I miss them climbing up in my lap, snuggling against me. Even thinking about this now pulls at my heartstrings. How can this be? How can it be that I will no longer have either of my children living with me? My heart hurts. It hurts in a way that can only be described as deep longing and mourning. I wonder if some of this is natural for parents to feel as their children grow up and leave home to explore and journey on a path of their choosing. It’s hard for me to say, but I suspect that many parents do feel like I am feeling now. The empty nest syndrome, they call it. Yet I feel like there was a loud crash and suddenly I’ve found myself with an empty nest, without the natural progression that often accompanies this milestone. In fact, I feel like I’ve lost my son twice during this crisis, once to mental illness and the second time in a true physical way as he leaves my home and begins to sever his relationship with me. One thing that I know for sure is that I have put my whole self into being the best mom that I could be for both my children. Deep down I was determined to love them the way I felt I hadn’t been when I was growing up. I thought that by giving them what I felt I didn’t have, I’d somehow save them from the pain that I felt as a child. Even as I write this, I know that my childhood was not horrible; not in the least. I have come to believe that many of us grow up feeling like we needed something different than what our parents or caregivers were able to give us. I don’t believe that it was because my parents were neglectful or didn’t love me. I know that they loved me very much; there was a lot of love in our home. Even with my own children, I know that I have loved them to the best of my capabilities. However, I can’t help but think that perhaps it wasn’t enough or at least it wasn’t what they needed from me in the way that they needed it. I’ve certainly had some time to think about this, ever since Aaron moved out a few years ago. I’ve tried hard to figure out what I could have done better for both my children. While I am definitely feeling quite a bit of self-blame over Josh’s crisis, I’ve felt a lot of self-blame for years before that. I think in some ways having Josh continue to live with me after Aaron moved out made me feel like maybe I hadn’t completely screwed up my mothering duties. But now, I feel like a complete failure. My heart and head cannot comprehend how, in the midst of this crisis, my son would choose to not want to be cared for by me. I feel like I have failed in my self-assigned charter for my children’s lives. I’ve been racking my brain and coming up with all the ways I have failed them. And the list is long: I wasn’t there enough, I didn’t have as much patience or compassion as they needed, I pushed too hard, I didn’t push hard enough, and on and on. In many ways, I cannot even breathe now as I write this. The pain is just so deep. I wonder if I will ever recover. 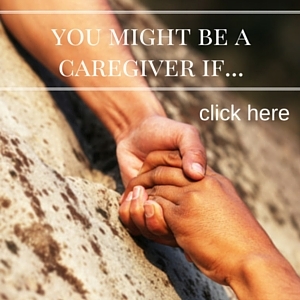 Would you like to find out more about this newly released book about Caregiving, mental health and healing? 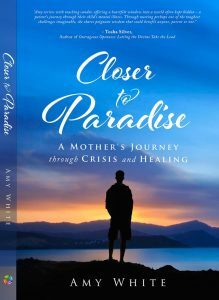 Please visit Closer to Paradise to download the first chapter plus read what others have to say about this inspiring and transformational book.